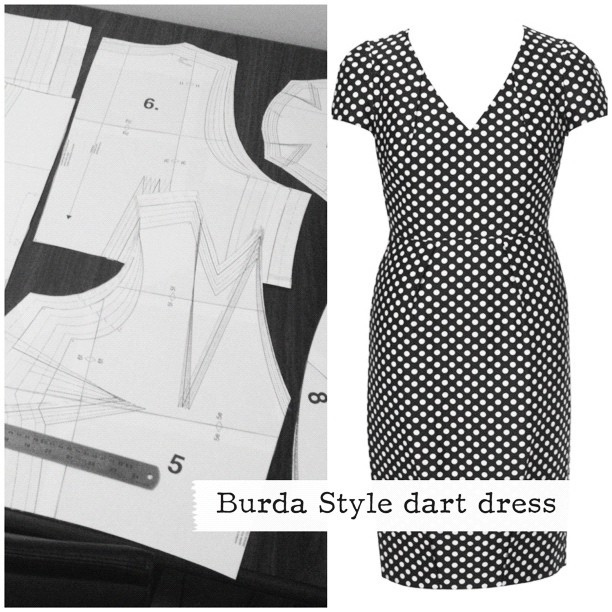 The eventual bull’s eye: Burda Style Dart Dress. 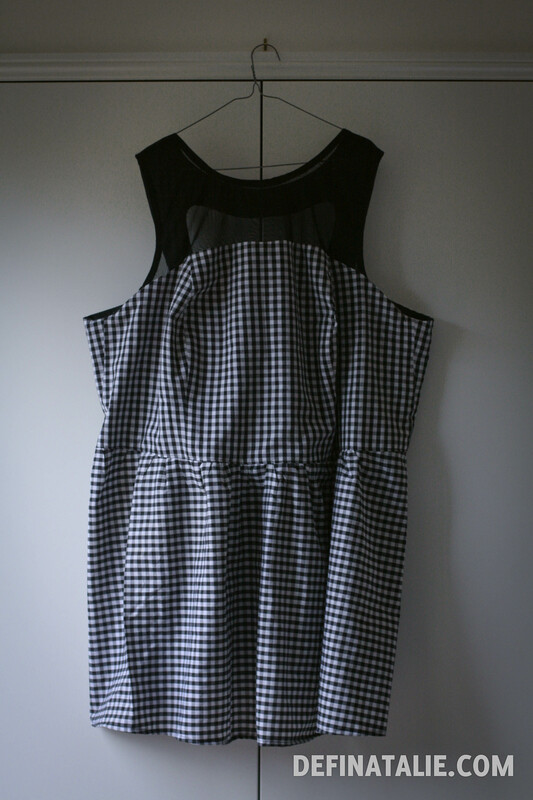 This has certainly turned into a sewing blog of late, and shall continue to be one for at least this post because I want to show you the fruits of my labour on the Burda Style Dart Dress. Firstly I owe a huge debt of gratitude to Kate for sharing this pattern with me, mwah mwah! Secondly, this is a pretty good pattern but I strongly advise sewing a muslin first because I had to grade the largest size up four sizes to EU 60 instead of my regular 56. I probably could have done with the 58 but more ease in garments is a bunch comfier! Instagram collage of pattern pieces undergoing grading and the dart dress made in polka dot fabric. Burda made this in a polka dot fabric which is so cute, but I couldn’t find anything besides rough-as digital print cotton at Lincraft (yeh I bought some what of it?) and I’d rather have something a bit nicer with more weight. 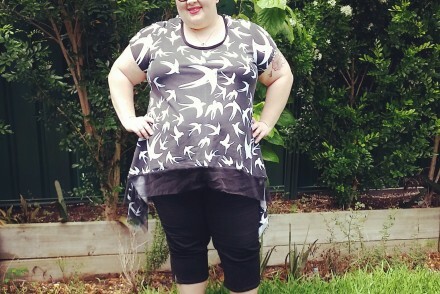 The original pattern has 18 darts, so yes it is aptly named, but I eliminated the darts at the hem because on my muslins they restricted my ability to walk comfortably. That’s the beauty of a muslin too, you can edit the pattern to suit your body as well as the way you move. I made two dresses from this pattern, the first was a wearable muslin made out of some brown gabardine I had metres and metres and metres of, and the second was made out of purple ponte. The ponte is super soft and easy to wear, probably not the best choice for the structure in the design but whatever! 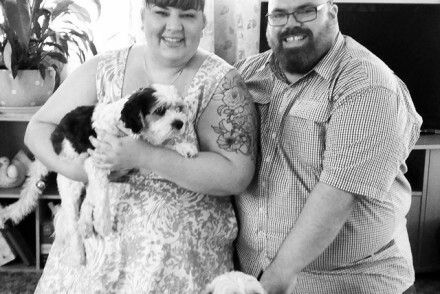 Full length photo of me (fat, white, with short blonde hair) wearing a brown knee-length dress with a V neckline, cap sleeves and darts at the shoulder, neck and waist. The back view of my brown dress, with darts on upper bodice and top of skirt meeting at the waist. The purple dress, staring Miffy. The back view of the purple dress. Miffy glares at the camera. Miffy jumping up on my knees in a blur of cute. I have a feeling this pattern will be used quite a bit because the darts can be sewn the other way around for a less ~darty~ dress, and the neckline darts can be taken out with a bit of nifty pattern altering. I’m very glad I ended up making three muslins (including the brown dress) in order to figure out the right size for me, because it’s a good basic pattern with scope for flexibility and adaptation. Productive Sewing Phase outcome the second. Hanky hems for a stuffed up week. You sew and sew: don’t tell me DIY is my only option.